After a year of delivering President Trump's daily intelligence briefing, CIA Director Mike Pompeo is finally getting his shot at the big chair. Assuming Pompeo's nomination sails through the Senate (in January 2017, he was easily confirmed as CIA director in a 66-32 vote), he cold officially take over for Tillerson as soon as the first or second week in April. Back then, Pompeo faced resistence from a small but vocal contingent of Senate Democrats, and - of course - Rand Paul. 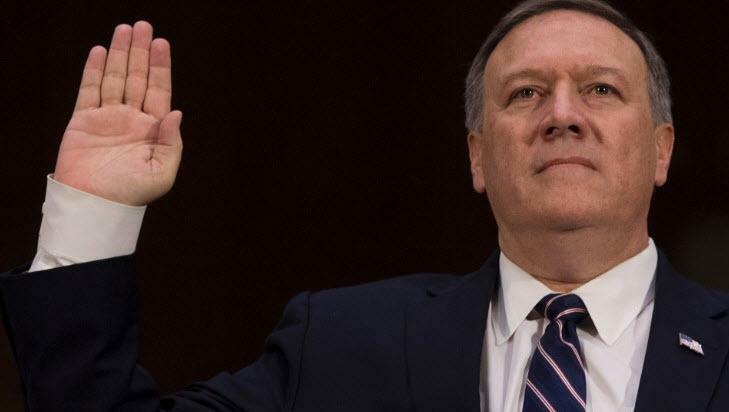 Rumors that Pompeo would replace Tillerson at the State Department have been circulating since at least October, when we published a post entitled "Will CIA Director Mike Pompeo Replace Rex Tillerson As Secretary Of State?" As investors attempt to suss out what, exactly, Pompeo's nomination means for markets, Citi published a note breaking down his positions on several key issues while providing a brief biography of one of the most powerful men in Washington. Until he was selected to serve as Trump's CIA director, Pompeo represented Kansas' 4th district in the House, having been voted in as part of the Tea Party wave of 2010. He was then reelected in 2012, 2014 and 2016. Before that, Pompeo graduated first in his class from West Point Military Academy, and later received a JD from Harvard. Moving on to his views on Russia, Pompeo differs from Tillerson in two important ways. The first, according to Citi, probably made him extremely attractive to Trump: Pompeo doesn't believe that Russia tried to interfere in the 2016 election. "Americans should rest assured that we have a very good understanding of the Russian program and how to make sure that Americans continue to be kept safe from threats from Vladimir Putin," Pompeo said. Pompeo is also considerably more hawkish in his foreign policy views than Tillerson: He wants progress with North Korea, but is keeping his "eyes wide open." "Never before have we had the North Koreans in a position where their economy was at such risk, here their leadership was under such pressure. Make no mistake: while these negotiations are going on, there will be no concessions made." "The Chinese have a much bigger footprint upon which to execute that mission than the Russians do.. We can watch very focused efforts to steal American information, to infiltrate the United States with spies - with people who are going to work on behalf of the Chinese government against America. We see it in our schools. We see it in our hospitals and medicals systems. We see it throughout corporate America. It's also true in other parts of the world... including Europe and the UK." Finally, Pompeo is a proponent of broad-based surveillance (which is what drew the opposition from Rand Paul). "Congress should pass a law re-establishing collection of all metadata, and combining it with publicly available financial and lifestyle information into a comprehensive, searchable database. Legal and bureaucratic impediments to surveillance should be removed. That includes Presidential Policy Directive-28, which bestows privacy rights on foreigners and imposes burdensome requirements to justify data collection." President Trump is expected to announce a handful of other personnel changes by the end of the week - with rumors circulating that National Security Advisor H.R. McMaster could be next.